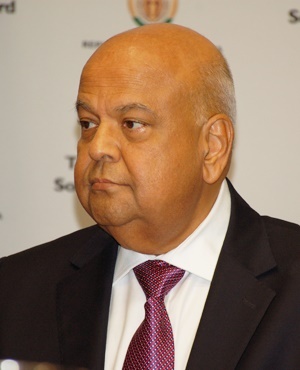 Cape Town – Finance Minister Pravin Gordhan said National Treasury and senior managers at the South African Revenue Service (SARS) have started new engagements to improve strained relations. Treasury oversees SARS, but the leaders of the two entities have clashed over probes into an investigative unit that was started when Gordhan was commissioner. During his speech in Parliament, he said “continued strengthening of the capacity of SARS and enhancing its relationships with taxpayers is vital for our fiscal health”. 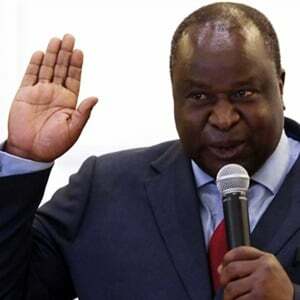 He warned media that institutions like Treasury and SARS should not be tampered with for political reasons. Gordhan, who spent a decade building SARS into an internationally-renowned tax collection unit, said “it can take many years to build a solid institution and it takes a very short time to mess it up”. Since Tom Moyane took over as commissioner, many key executives with institutional knowledge have left the institute. Moyane instigated the probes that looked into an investigation unit at SARS, which resulted in the Hawks investigating Gordhan’s role while he was commissioner. The National Prosecuting Authority was caught in the storm when it announced and then withdrew charges against Gordhan related to the retirement package of Ivan Pillay, a former SARS executive. Last year, Gordhan received questions from the Hawks days before delivering his Budget Speech. Since then, there has been an ongoing clash between SARS and Treasury. There are allegations that Moyane has been acting on behalf of President Jacob Zuma regarding Gordhan’s bid to root out patronage in the country. In his Budget Speech, he said an efficient and trusted tax administration is one of South Africa's institutional strengths. “SARS has played an integral role in building the democratic state by ensuring that expected levels of revenue are available to fund spending programmes. Gordhan last year asked the Davis Tax Committee to advise on an appropriate governance and accountability model for SARS. “This was last done by the Katz Commission in 1994,” he said. “In the context of the envisaged Border Management Agency, customs and excise administration has come under review. “These are integral functions of our revenue system and the Davis committee has advised that it would be imprudent to fragment customs administration and customs collection. “I agree with this, particularly in the light of SARS’s ongoing customs modernisation programme which is critical to both our revenue and trade policy imperatives. Let me express my appreciation to the deputy president and Minister Gigaba for the ongoing engagement on this matter. “We will continue to call on Judge Davis and the Tax Committee for advice on how best to ensure that SARS remains a robust and effective tax collection agency,” he said.